The Kanche actress aced the Day 2 of SIIMA 2017 in a traditional outfit. 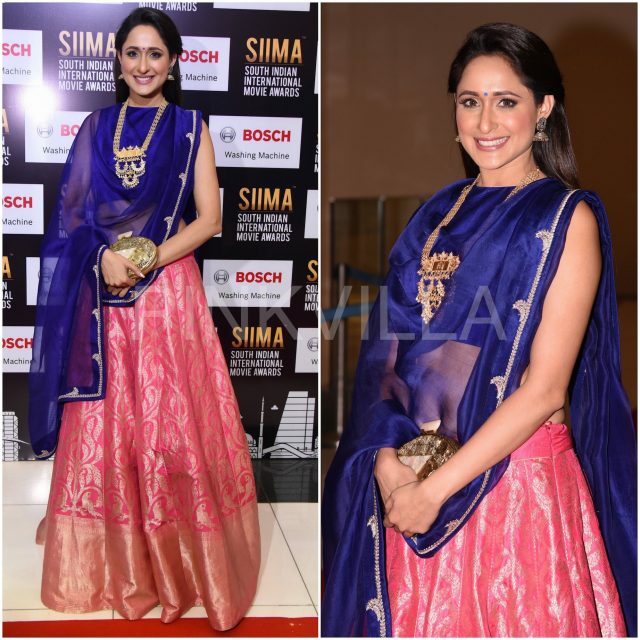 Pragya Jaiswal walked down the red carpet on Day-2 of SIIMA 2017 in a traditional outfit. She wore pink silk lehenga that she paired with a blue blouse and a matching dupatta (all) by Raw Mango. Rounding out her look was a temple necklace from Shringaar, a gold clutch and a bindi. Traditional looks are always lovely on the red carpet and she made it work.